Replacement golf course marker tubing; high density polyethylene materials. 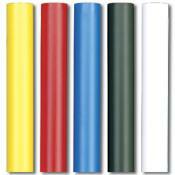 High density Polyethylene tubing; can be used as replacement tubing on our hazard markers, chain posts and rope posts. Choose from a variety of sizes and colors.